- Our dumbbells are made to your specifications. 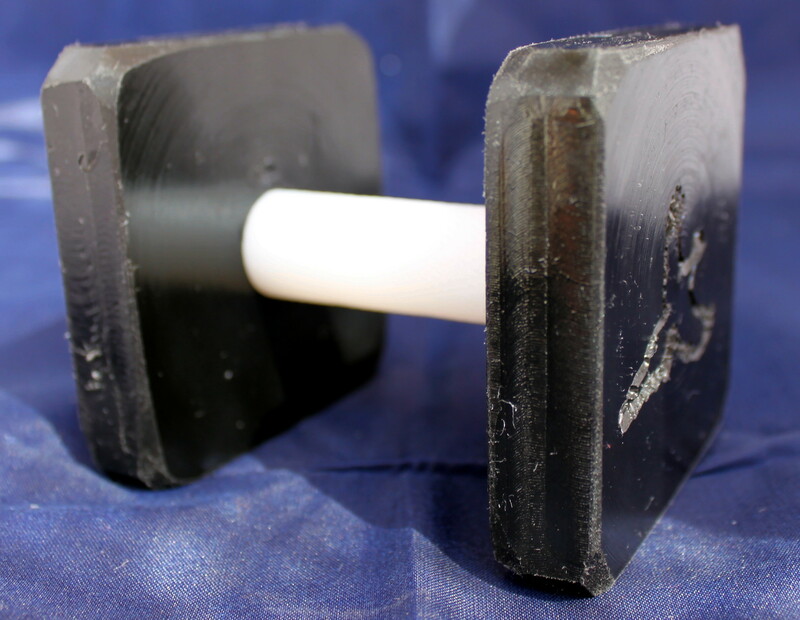 - Properly fitted dumbbells helps your canine partner retrieve quickly and cleanly. - The construction is of nylon type material that is long wearing, non-absorbing, and cleans with soap and water. - The price includes a knurled bar, and the above engraving (subject to available space). - Availability: Usually within 7-14 days after we receive your order and payment. - With reasonable care, your dumbbell should last many years. Questions? Click if you have a question or the size needed isnt dispayed.